Learn how to use reclaimed barn siding. Create accent walls, wall panel and decorative pieces. How to cut, sand and finish the ship-lap is shared. Let barn siding add character to your next renovation or building project. You can breathe new life into old barn siding through a variety of projects, from re-purposed hardwood flooring and timber-frame homes to barn wood furniture and moldings. The possibilities are limited only by your imagination. 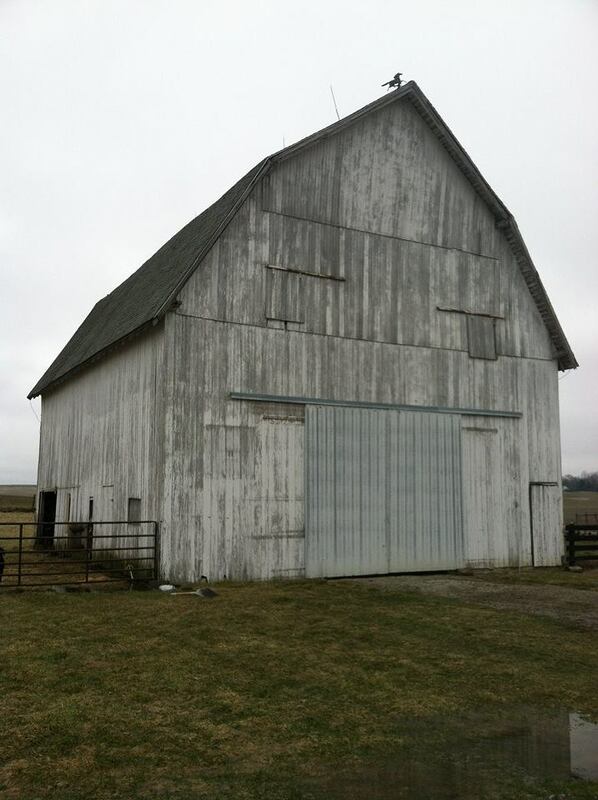 After a lifetime of withstanding the elements of the Central Indiana, reclaimed barn siding possesses beauty that has been earned and durability that has been tested. With minimal upkeep, a variety of widths and lengths, and custom milling options, antique barn siding can lend its character to any interior or exterior space. A variety of natural colors or finish options assure tasteful pairing with any residential, commercial, or retail project. Naturally weathered by years of exposure to the elements, our antique barn siding – made from Indiana, old-growth wood – is highly prized for its rustic patina and dense, enduring nature. At Reclaimed Barns and Beams, I reclaim old barn wood siding by carefully dismantling barns and other wooden structures one board at a time in Central IN. Each plank is hand-inspected and de-nailed. It can be kiln-dried to remove moisture and impurities, and then precision milled into distinctive wood of strength, character and durability. These are all options for you to think about. Antique shiplap barn wood siding is weathered to give it a rich rustic look. We de-nail and trim the siding that we take down by hand on board at a time. We have various widths and lengths. Colors will range from various shades of brown, white, grey or red. Most siding is pine and poplar. Price: $4.00/Sq. Ft. - Shiplap, Unfinished- de-nailed, and straight from the barn. barn siding: these are milling options. The back of barn siding creates a beautiful wood flooring. This is just sanded and not even finished yet. If using as flooring- Kiln dried wood is recommended. Reclaimed Lumber is used to create this look on the exterior of this home. What the heck do people do with barn siding? I thought this video might help answer a few of the questions people have around reclaimed barn siding. I want to try to shed some light on the options that you have when purchasing Reclaimed Barn Siding. So let's get to the details. Reclaimed Siding is typically 6-7 inches wide. It is usually 3/4 to 1 inch thick and the length depends on the building it is used as a cover. Siding is very flat on both sides. While some has a bead down the middle. In both cases the siding can have ship-lapped edging or tongue and groove. (See diagram on this page) Some siding has no edging. Some will turn the siding over and have the back side as the side that is seen. It is a beautiful look. The back of siding is also an amazing product to use as reclaimed flooring. Many haylofts actually use barn siding as the flooring. Weathered Siding- No paint- 7 inches wide. Neither tongue and groove nor ship-lap. Just flat boards placed side by side- 1 inch thick. Weathered 7 inch ship-lap siding with white paint. Weathered with some white paint and a bead down the center of the 7 inch ship-lap. Red weathered siding with the bead down the center. & inches wide ship-lap. 6 Inch wide, tongue and groove siding with a bead down the center. The back side of a piece of siding is viable here. It is a beautiful look. This is a 7 inch wide ship lap with a raised bead down the center. 7 inch ship lap siding. This contains a Dutch groove. When I deconstruct a barn, I take the siding down, one board at a time. Take the nails out of it and trim up any unwanted ends. The ship-lap is then stored until it is purchased. See the online store for pricing or email me for a custom quote. The reclaimed siding is something in high demand. Depending on the market and the barns that I am reclaiming the stock is subject to change. 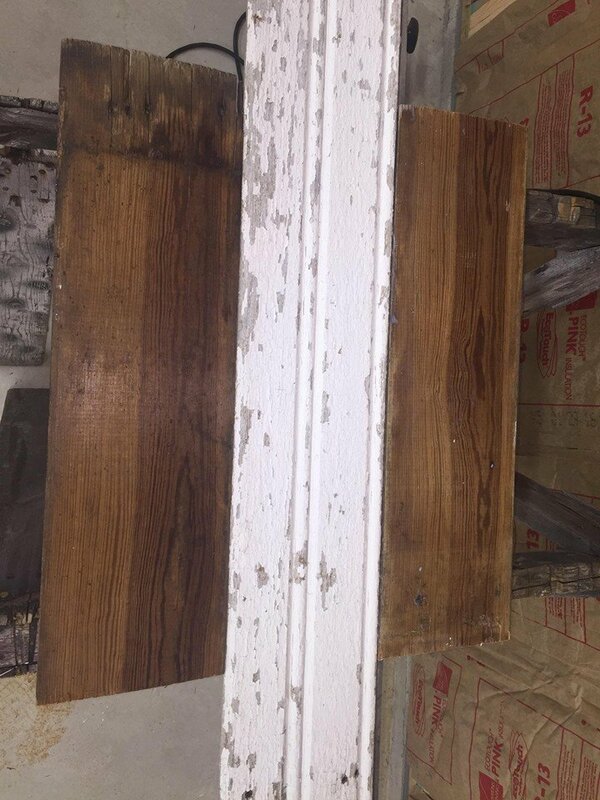 Reclaimed siding can be lightly sanded and it is ready to use. I suggest covering it with a polycrylic if you are using it inside of your home or business. This protects the lumber and creates a barrier for the paint. My shop sells reclaimed siding unfinished or finished. The taking down of the reclaimed siding! This is the hardest part. The trick is to get the pieces of barn siding down without splitting the lumber. I have tried all kinds of things to accomplish this. These are my favorite tools and links to purchase them that I use to reduce splitting. On the inside of the barn, I start prying the siding away from the barn at the nail closest to the top or bottom of the siding. I try to pry the nails each in order from top to bottom going back and forth as needed. If there is no room for the crowbar, I use the rubber mallet to make room. When I hear the nails pulling away, I know I am making progress. The top nails usually can be pressured out by moving the wood, especially if it is too tall to climb and get. Some of these barns are massive so reaching all needed space is a challenge at times. I use the same technique for flooring as well. The Bull Bar is amazing for getting the flooring up as it allows for the space to pry against the floor joist and it only weighs 7 pounds. Time frame siding is needed. Thank you for reaching out to me. I will get the information to you that you need ASAP! Great restaurant in Lafayette, IN. I used Varathane brand Floor Finish in “satin” because I didn’t want super shinny floors, just a nice sheen. I also used water based because the smell of of the oil based Varathane was out of control — and it took way longer to dry between coats. What is a shiplap joint? A Ship Lap joint is essentially two opposing rabbet joints that overlap each other to hold panels together. It is used in furniture for drawer bottoms, tool chest bottoms, and the backs of cabinets. It is also commonly found in the construction of barn walls. Chris Robinson created this beautiful clad wall area for his customer in TX using our reclaimed barn siding. Simmon's Winery, Hope, IN received barn siding from just down the road for a great remodeled look. A historic home in Chicago needed a make over in the loft. This made a great look.